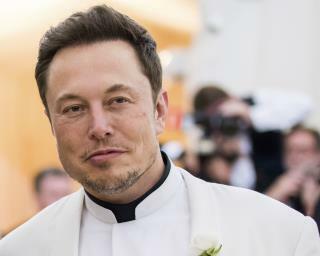 (Newser) – Tesla has never made an annual profit but it's getting serious about trying, Elon Musk said in a letter to employees announcing the biggest round of layoffs in the company's history. Musk told employees that the company's rapid growth had led to "duplication of roles and some job functions," requiring it to lay off around 9% of its workers, CNN reports. Around 3,600 white-collar workers will lose their jobs, but factory workers—and consequently Model 3 production targets—will not be affected. Musk said the move would "flatten our management structure to help us communicate better, eliminate bureaucracy, and move faster." The story reports Tesla had no profits but the retention of redundant personnel is Elon Musk waxing Liberal Left, Democrat and socialist/communist. The money that went to those salaries for duplicated or unnecessary position within his company would have otherwise been profit and so in that sense it is fair to say that Musk was sharing profit with employees. It's even more interesting that this effort of management failed in the long run as it became apparent that such practices inevitably lead to the failure of the enterprise. Makes sense, as the company becomes more mature they will be looking to make their operations more efficient. Between this and the fact that they are tossing out subcontractors means that they should see more profitability. Which they need since Tesla has no intention on going for another round of funding.